14 tunes from the Tonyae Award-winning musical that's lovingly ripped off from the motion picture Monty Python and the Holy Grail. Includes: Brave Sir Robin - Find Your Grail - He Is Not Dead Yet - The Song That Goes like This - and more. Vocal selections from the uproarious Broadway production that won the Tony Award for Best Musical in 2005. Songs include: All for One - Always Look on the Bright Side of Life - Brave Sir Robin - Come with Me - Find Your Grail - Fisch Schlapping Dance - He Is Not Dead Yet - His Name Is Lancelot - I'm All Alone - King Arthur's Song - Knights of the Round Table - Laker Girls Cheer - Monks Chant - Run Away! - The Song That Goes Like This - Whatever Happened to My Part? - Where Are You? - You Won't Succeed on Broadway. Includes five pages of color photos. Baritone/Bass edition. Songs especially good for auditions have been chosen from Volumes 1-5 of The Singer's Musical Theatre Anthology and edited to 30-40 second "16-Bar" excerpts. Each volume includes over 100 songs in original keys. 37 songs, including: Along Came Bialy ¥ Always Look on the Bright Side of Life ¥ Edelweiss ¥ A Fellow Needs a Girl ¥ Get Me to the Church on Time ¥ Greased Lightnin' ¥ I'm Not Wearing Underwear Today ¥ In Old Bavaria ¥ A Lot of Livin' to Do ¥ Masculinity ¥ Put on a Happy Face ¥ Sometimes a Day Goes By ¥ Those Canaan Days ¥ What Do You Do with a B.A. in English ¥ Wonderful ¥ Ya Got Trouble ¥ and more. There are no song duplications from any of the previous volumes. All songs are written in the original keys, in authentic voice with piano accompaniment. Also includes a Foreword, and an extensive section of show facts and plot notes about the shows. 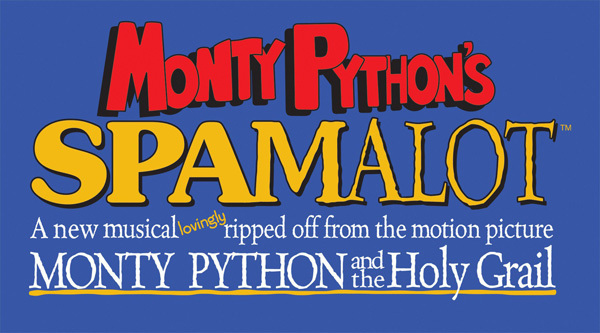 Totally cheeky and irreverent, this tune from Monty Python's Spamalot will have everyone whistling along! A great concert change of pace that your choir will love to sing. Available separately: SATB, SAB, TTB, ShowTrax CD. Combo parts (tpt 1-2, tsx, tbn, bsx, syn, gtr, b, dm) available as a digital download. Duration: ca. 2:40.